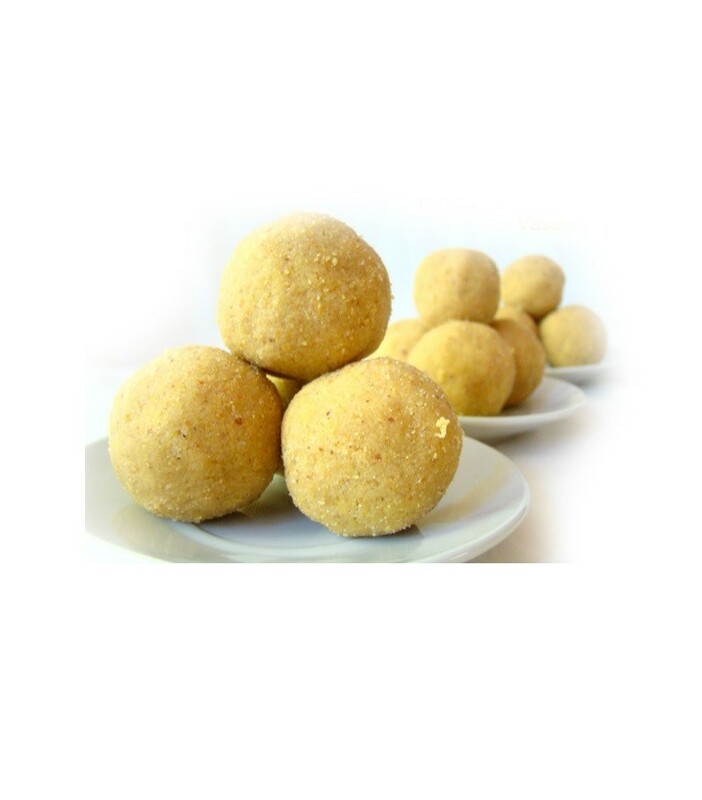 Buy Moongdal Laddu of Rawat Misthan Bhandar from Jaipur online | Authentic Indian Sweet , Savories and Delicacies from the place they originate by Moipot. Moongdal (lentil) laddu by Rawat Misthan Bhandar is a sweet lover’s paradise which will melt your heart and your taste buds. Favourite amidst lovers of Rajasthani sweets, this laddu is a lentil based sweet dish. This rich and delicious laddu has a crunchy texture and is a fabulous treat for every occasion!